Lawyers representing 9,000 Royal Bank of Scotland shareholders have been granted another adjournment in a court case that was meant to start on Monday and has already been delayed twice. 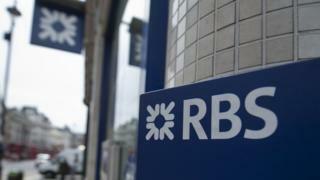 Separate factions within the shareholder group are understood to be unable to agree whether to accept an improved offer to settle claims they were misled about the strength of the bank's finances when asked to pump in more money in 2008, months before RBS nearly collapsed. Judge Robert Hildyard adjourned the case until 7 June, but warned this would be the final chance to reach an out-of-court settlement. He said the two sides must inform him whether a settlement has been reached by 1 June. The judge said he understood that it was "an exceptional case with exceptional logistical problems", but added: "We must have certainty one way or the other. The court must know whether the matter is to proceed or not." He had already expressed his impatience at the delays. In a brief hearing on Wednesday, Jonathan Nash QC, for the claimants, told the judge that "progress towards a settlement remains good". Both sides will attend court on Thursday for a short hearing to update the judge on further progress. However, groups representing some of the smaller claims are thought to be keen to fight the case, which would involve seeing disgraced former boss Fred Goodwin give evidence on his role in the bank's near-collapse. A spokesperson for the investor group did not respond to requests for comment, while RBS declined to comment.